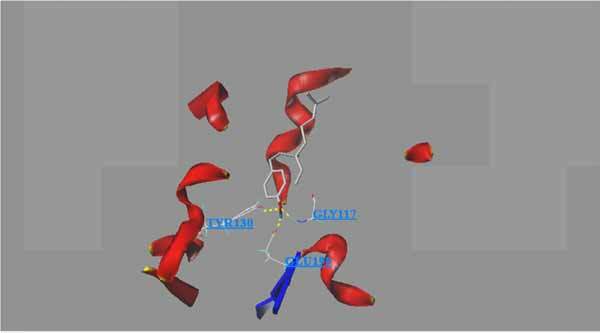 A structure-activity relationship (SAR) dataset was generated for a set of acetylcholinesterase inhibitors using Adaboost and physicochemical parameters. After calculation, it is found that the ACC of SAR model is 99.51 by using 10-fold cross-validation test, while 99.35% for independent test set. Based on the SAR prediction model, bakuchiol is predicted to be an acetylcholinesterase inhibitor. Fluorescence was used to investigate the binding between bakuchiol and acetylcholinesterase, which can provide valuable qualitative and quantitative information about the interaction between acetylcholinesterase and bakuchiol. Molecular descriptors, acetylcholinesterase, bakuchiol, Adaboost. Shanghai Key Laboratory of Bio-energy Crops, School of Life Science, Shanghai University, 333 Nanchen Road, Shanghai, China.